My last post covered the law of light that says the angle of incidence equals the angle of reflectance. In other more understandable words it means that light bounces off of a subject at the same angle as the light falling on it. Another use for this rule is photographing something in a mirror. Here’s the simple rule: show the mirror in the photograph what you want it to show the camera. Consider the photograph below. 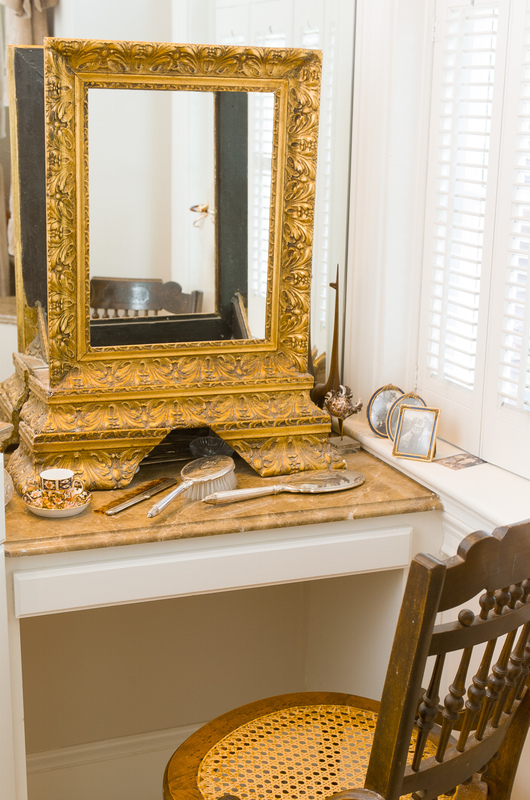 A golden framed mirror resting on a lady’s vanity reflects a brown frame right? Look a bit closer.